Ava loves to read about other kids’ stories and know people that see the same doctors and nurses. “It’s always made her feel like she’s not alone and provide some comfort,” says Lauren. Reflecting on our past 18 months and the many hours that sometimes, turned into days, I feel today with my 6-year-old daughter Ava how much Akron Children’s Hospital has meant to our family! We were sitting in her pre op appt this morning (Thursday, Dec. 28) and were discussing an upcoming procedure that she will be having. I asked her what made her feel so comfortable and not scared when she is at Children’s. 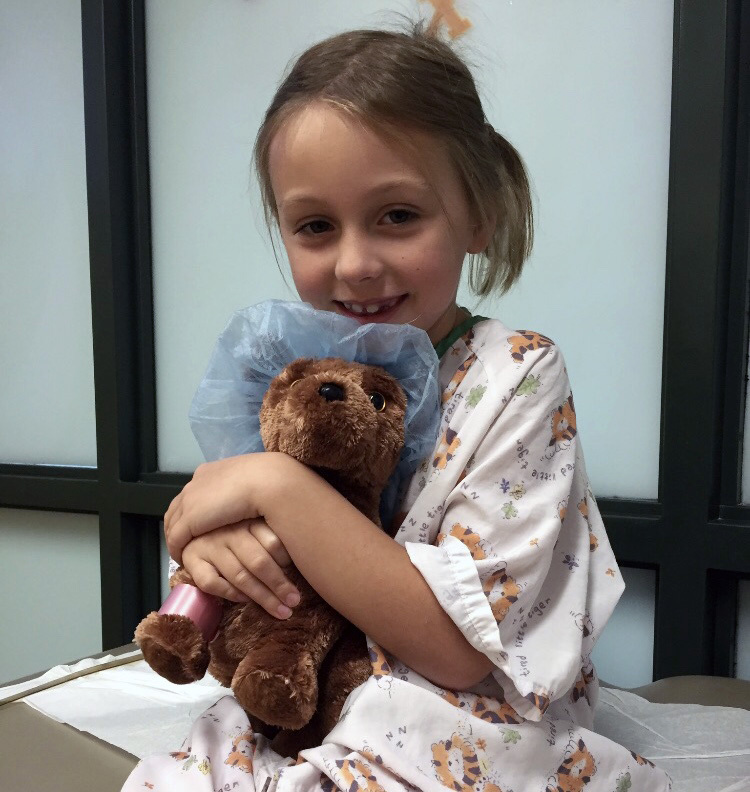 Ava was diagnosed in 2016 with severe ulcerative colitis and is under the care of Dr. Sirvart Kassabian. Ava has a signature thumbs up to let us know she’s OK after her IV goes in. We couldn’t be prouder of our Brave Ava, and we know we are beyond blessed each time we visit this amazing hospital. Ava lives in Wadsworth and is a 1st grader at Sacred Heart of Jesus School. I just wanted to show you how much Ava and her family love how much she loves all of you! Thank you for taking care of her and making her feel “happy” on the good days and the bad. 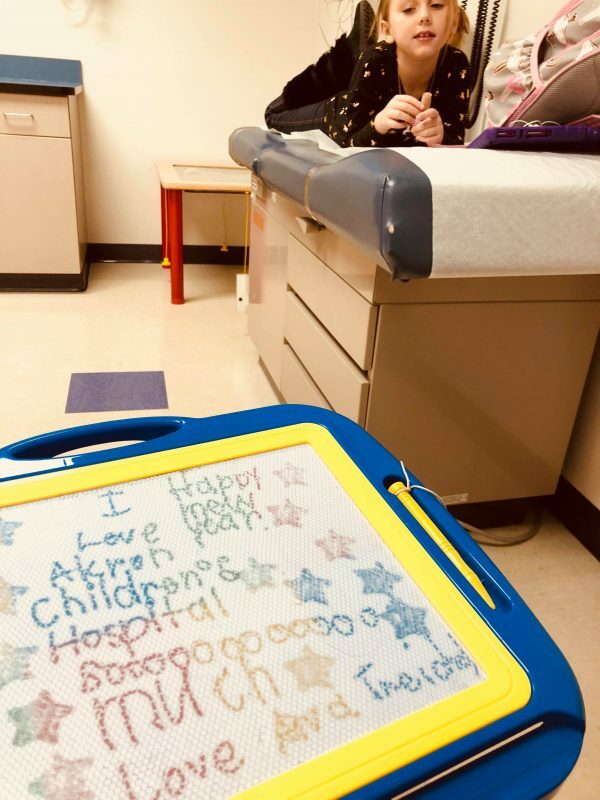 We have been beyond blessed to have Akron Children’s take care of all 3 of our girls over the past 8 years (Ella, age 8, and Libby, 22 months), from therapy, to allergies, then weeks in the NICU, to our most recent diagnosis with Ava. 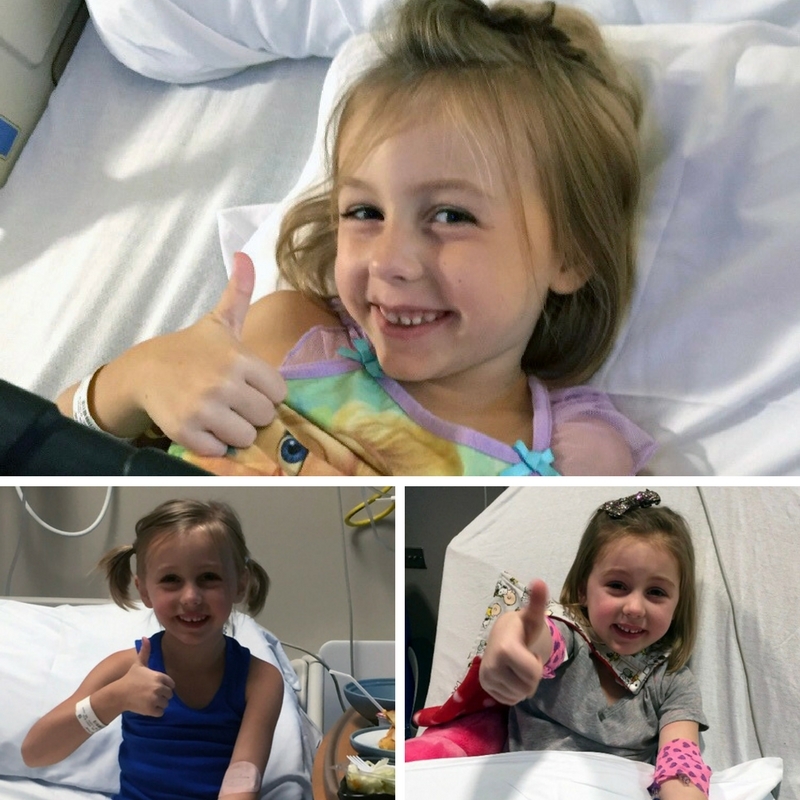 Everyone in GI (Gastroenterology) and the infusion center are so special to Ava! Ava says when she grows up she might be a paramedic, nurse or kid doctor. She she wants to help other kids get better.